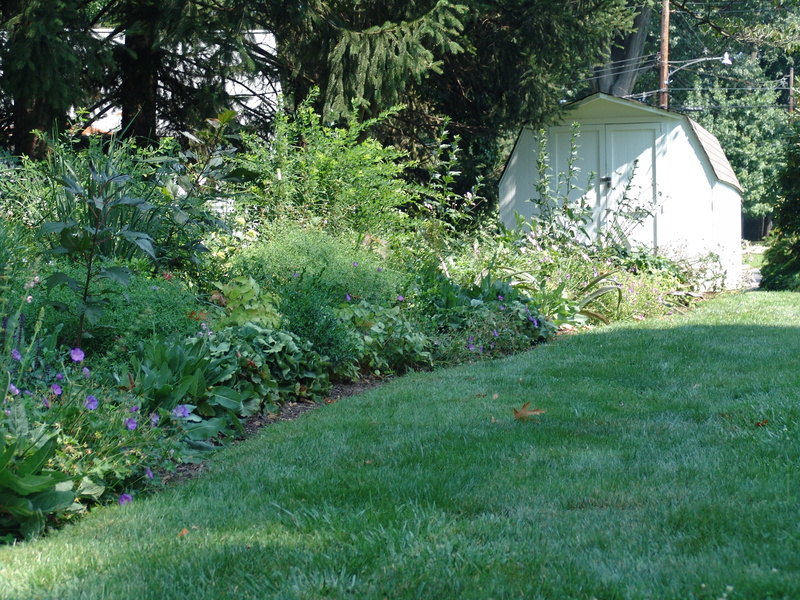 Renovating an old garden can be a daunting task. 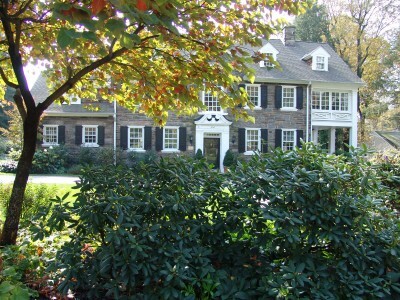 In September of 2006, the Scott Arboretum received an endowment for the gardens of the West House from Barbara and Giles Kemp. For the past three years, the curatorial intern and volunteers have been renovating the garden to create a lovely example of a residential-style landscape with two intimate entertaining spaces. This fall our curator, Andrew Bunting, insisted I pay a visit to the West House to see the evolution the garden has undergone. I was not disappointed. There are some simple steps to follow when approaching the task of renovating an old garden. These steps will help any gardener begin to tackle the often overwhelming process of revamping a mature garden. Re-evaluate the site. Have new buildings been added to the site creating new microenvironments? Have the trees grow or fallen, adding sun or shade to an area? Test the soil to see if organic matter needs to be added. Define objectives for the garden. In the case of the West Garden, the Arboretum wanted to create a residential-style garden. There needed to be strong winter interest because entertaining college guests occurs throughout the year. 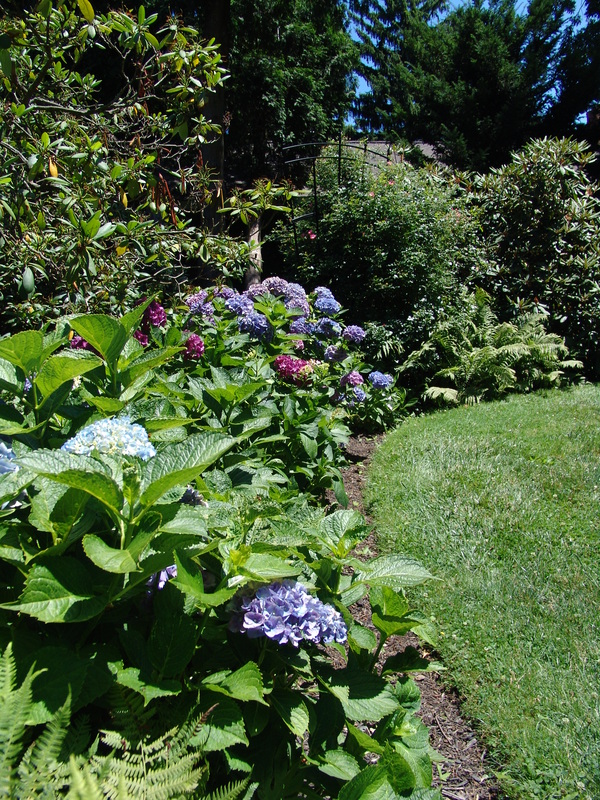 Two intimate entertaining spaces with ornamental interest during growing season needed to be established because the back of the garden is a popular place to entertain guests. A screen planting was also needed to hide view of the neighbors. Evaluate the existing plants. Take a year to evaluated and identify the plants that are growing in the garden. Things are always easier to identify when they are blooming. 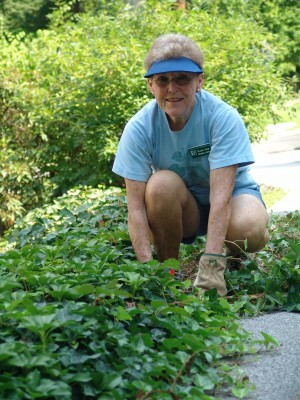 As you cut back or remove overgrown plants, you will often discover hidden treasures. At the West Garden, an invasive, English ivy, Hedera helix, had consumed many of the beds. A planting of Tsuga canadenis was infested with wooly adelgid and scale along Elm Avenue. The previous residents had planted a bed of hybrid tea roses which do not perform well in the Delaware Valley. Throughout this bed there also was an infestation of Pinellia ternata. 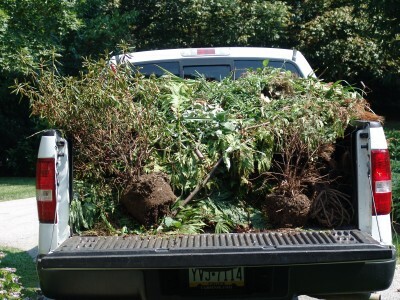 Once you have evaluated the existing conditions and plants and have a new garden plan, you can begin the fun job removing, moving, and cleaning-up the plants. In the West Garden, the Tsuga canadensis were removed and variety of unique plants were planted to accent the front of the house including Stewartia pseudocamellia, Calliarpa dichotoma, Ilex verticillata ‘Winter Red’, Rhododendron ‘P.J.M.’, and Jasminum nudiflorum. 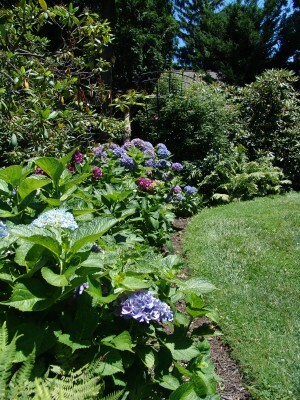 In the backyard garden, the English ivy was replaced with Hydrangea, Callicapra, several new EncoreTM Azaleas. Several ornamental containers were added to provide a great accent to the patio entertaining area. A rose planting in poor condition was replaced by a 75 foot perennial border to provide great interest throughout the year. This rich perennial mix contains Echinacea, Geranium, Heuchera, all plants which are better suited to be grown in the Delaware Valley. Visit the West Garden to see the results of our volunteers’ and interns’ hard work. If you are overwhelmed by the task of renovation, take it one step at a time and enjoy discovery of hidden gems within the old garden. This is one of the gardens that I have really seen transform in the short time I’ve been here. As an intern, I loved pulling out the ivy from those beds! And it’s great to see this area growing and changing every season. All of the hard work that was put into this project looks like it has paid off. The plants and layout look awesome. How did you get rid of the Pinellia Ternada? The landscape at my sister’s new home in Charlotte, NC has been over taken by this invasive plant. She is so frustrated- has even tried rounding it up but with no success! Any info appreciated.